Tests World > Fun > Quiz: What will my wedding dress look like? Ever wondered what your wedding dress will look like when you get married? Find out what your wedding dress will most likely look like with this test! Do you have traditional views about weddings? If you had to choose one of these guests to your wedding who would it be? What is the most important part of the wedding? If you could describe your future wedding dress in one word what would it be? Who will be your guests? Your personality is best suited to a simple wedding dress. But simple doesn’t mean less stunning. You are elegant and beautiful and you aim to please others. You don’t like to stand out from the crowd but you are a hidden gem. You don’t need a big fancy wedding dress to make everyone look at you. You can shine in something so simple that you could be the most basic wedding dress look beautiful. With lots of glitter and sparkles! 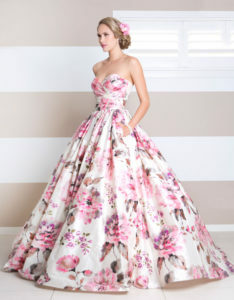 You have a very outgoing and girly personality, and this is reflected in your wedding dress. You like everything that sparkles and shines. You like to stand out from the crowd but not too much. You will wear a traditional wedding dress but you will add a little twist to make it your own. You have a very specific style but you still like to follow protocol. You will look stunning in your wedding dress and it will definitely be unique to you. You are the girliest girl out of all your friends. You love all things pink and you love being the centre of attention. Your wedding dress will be anything but simple. The bigger the better in your eyes. The wedding itself will be so grand but it won’t outshine your wedding dress. Your wedding dress is the main attraction and you will blow everyone away with the style, design and look of your wedding dress, which you will look beautiful in. You are one of a kind, and that’s how your dress will be. There will be no other dress like it just like there is no one else like you. You are out going, friendly and always like to have fun. You like to do things differently and so that’s what your wedding dress will be…different. Your personality is contagious and you will look amazing in a wedding dress that will make people stop and stare! Everyone knows that the most important part of someones wedding day is the wedding dress! It is the most important piece in a wedding and requires the most time and attention. Each wedding dress is different and is chosen by the bride to be. 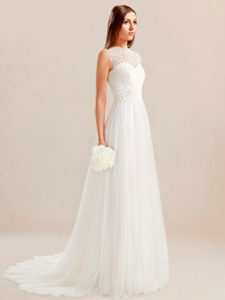 Every bride is different, but choosing a wedding dress can be very difficult. But you can get an idea of what your wedding dress will look like thanks to this love quiz. Don't hesitate, take this test to find out what your wedding dress will look like!